iBlurDeferredShadowMask = 3 ;higher values 'blur' shadows and decrease resolution, but also decreases edge pixellation ... ideally, this should remainl rather low, but who knows for sure? 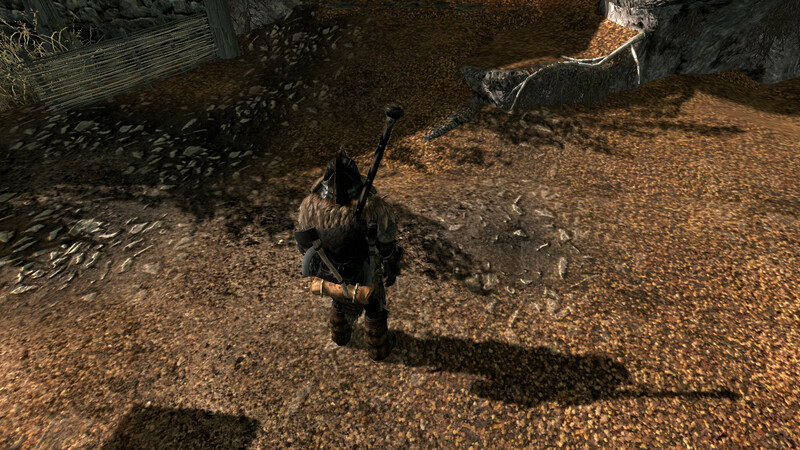 Problem: Skyrim shadows are bad, even on the default 'Ultra' settings. Outdoor sjadows have pixellated edjecs, so they appear as shadows of "Lego versions" of the actual ojects. There are limited known ways of enhancing shadows, especially outdoors. fShadowDistance also impacts outdoor shadow quality in that smaller values drastically improve shadow resolution, but also decrease the rendered shadow distance ... but edjes are clocky no matter what. Objective: Maximize shadow draw distance, resolution and edge smoothness ALL AT ONCE if possible. Please only mess with the default INI settings indicated above and nothing else in the game or otherwise (monitor res, gamma, brightness, contrast, etc). The goal is to try and define settings that actually have a positive impact towards obtaining the Objective and to identify shadow settings that simply don't need to be messed with (have no impact or have a high performance impact). 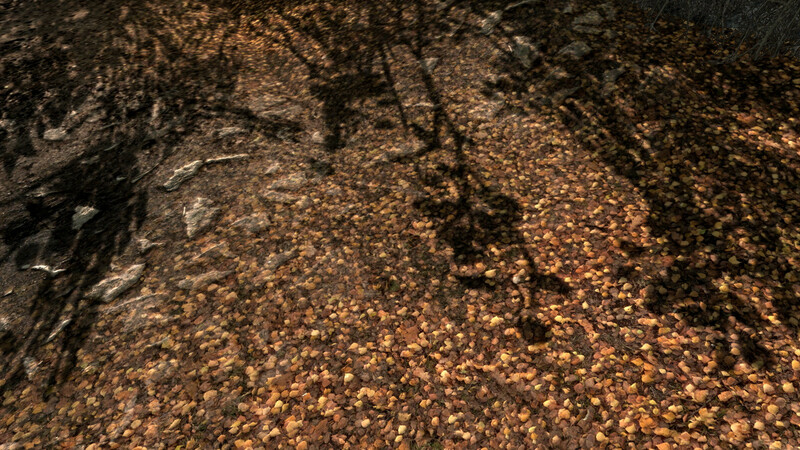 ;Setting iBlurDeferredShadowMask to 0 will cause buggy ENB shadows. This may be increased at user discretion. I think that fShadowBiasScale defaults to 0.2500, doesn't it? But, anyway, I didn't get exactly what you need. Perceptions? Benchmark? Both? As far as I know the shadow quality of Skyrim will degrade with larger draw distance. 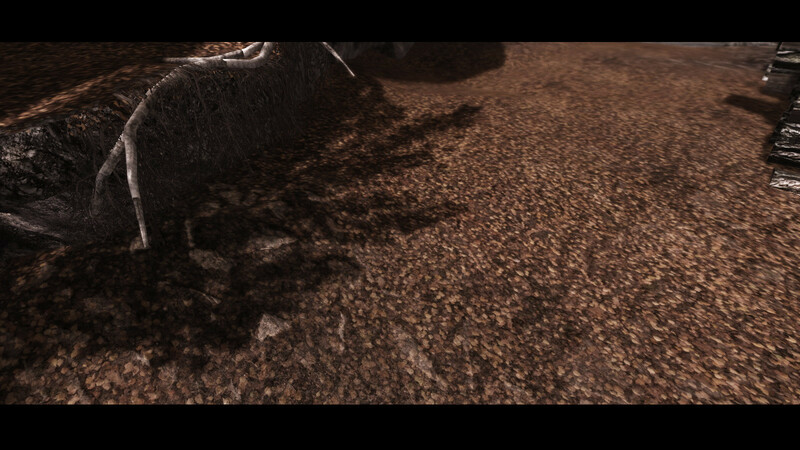 That is because the Skyrim engine renders one big shadow for the whole scene. If it is larger with the same resolution the quality will be lower. Another point is that some .ini settings regarding shadows look odd with certain ENB configs. Opethfeldt's ENB for example looks best at iBlurDeferredShadowMask=3 while a setting of 4 helped with my vanilla shadows. I'm sorry that I cannot make comparison shots to back up my claims atm because I sold my GPU and am still waiting for a new one. I tried making changes one at a time leaving all others at the default as defined in the OP. The differences are very, very small. 2 pictures of each setting: one picture of bush shadows & one of a rock with vertical lines. Curious about that, what is it? I'm not sure how you want to test performance differences. Top of the steps at Whiterun? stay there for a minute? or run down to the gate? Thanks all for the info. I'll take a look and post back when I have some more time! On a small side note for ENB users, the only two shadow quality settings (meaning strictly quality, not view distance or sunupdate) to play with are shadow map resolution and iBlurDeferredShadowMask. On a r9 290 @1440p amd 8k shadow distance, 2k shadow map resolution and iBlurDeferredShadowMask=5 were the perfect settings for me. 1k shadow map resolution got me ~1 fps and a perceivable quality loss while 4k cost me ~4-5 FPS with almost no gain leaving iBlurDeferredShadowMask the only setting to really play with. Sadly I cannot provide comparison shots atm but I prefer a value of 5 as a good mix of sharpness and hiding some edge imperfections. I have discovered how to fix the aura/glow around player, npc and object in front of a shadow. Basically you use whatever shadow settings you like for performance, quality and draw distance. 3. Use enbseries.ini settings to adjust ShadowBlurRange to your liking. Dont change iBlurDeferredShadowMask anymore. 4. It is compatible with injectSMAA so you can use that too. This will result in the aura/glow being removed, but also no issues with a one-pixel white edge or blocky shadows. If you set iBlurDeferredShadowMask=0 you can also remove the aura, but it isnt a real solution because shadows will be blocky (edges not blurred at all). 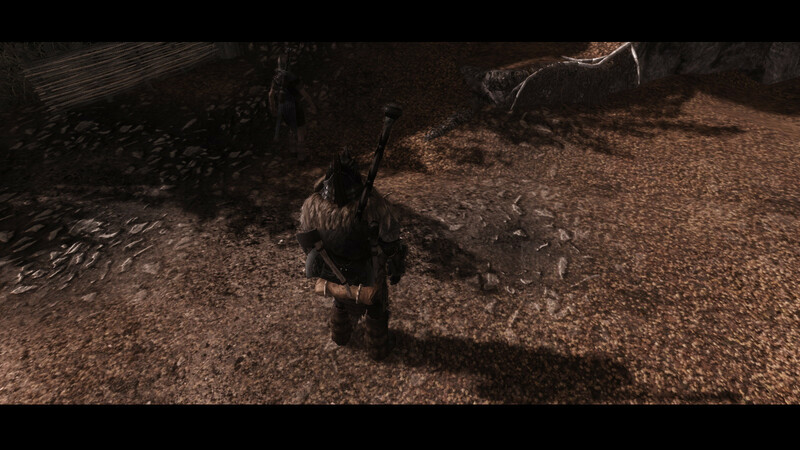 And also the ENB blurring effects wont work nicely. My fix avoids those problems. Does the aura/glow changes alter performance in anyway? Performance wont be made any worse or better by the fix. Normal shadow performance rules still apply (draw distance, shadow resolution, enabling/disabling certain types of shadows), but none of those will have any effect on the aura. ENB antialising is superior to the game's own or driver-forced AA, as far as performance is concerned anyway. So if anything itll improve performance because of that. Using only ENB AA (and only improving it beyond that with injectSMAA) is essential to the fix so that the remaining 1-pixel aura is removed. Edited by zyg0tic, 28 May 2014 - 09:41 AM. The ENB AA for transparency is not performance friendly at all. The other three AA types in ENB are very performance friendly, but EdgeAA can cause blurriness and Temporal can cause ghosting. I'd stick with driver forced SGSSAA (Nivdia only I believe) and play with that. Also, look at the woven fences with ENB AA and there is so much noise in them. Only, MSAA and SSAA seem to a good job fixing that. I found that only the ENB AA settings were the only ones that removed the 1-pixel edge. That is why I said not to use driver-forced AA. If a different form of AA could be found which does the same thing then Id happily change my recommendation, but Ive not yet tested enough options. Disabling ENB's AA and using only injectSMAA might work. UPDATE: I have discovered that the only thing that causes a 1-pixel edge (like a hard glow) is the game's own AA. I tried multiple combinations of other AA types (injectSMAA, all the ENB options, driver-forced transparecy AA) and none of them gave the 1-pixel white edge except iMultiSample (game's own AA). So given that discovery, I can now rethink my fix. I will recommend only the bare essentials necessary for to remove all traces of the glow - additional tweaks unrelated to the essential fix will be labelled as such. Edited by zyg0tic, 29 May 2014 - 02:32 AM. Here are some Answers copied from Geforce.com/Guides for the Highlighted Green Default Shadow Variables z929669 posted. I hope this isn't TMI. If it is, Admins Please Delete it. iShadowMapResolution=4096 - This variable in SkyrimPrefs.ini directly controls shadow resolution and hence is the Major determinant of shadow quality in the game. It is part of the Shadow Detail in-game setting. At Shadow Detail Low iShadowMapResolution is set to 512; at Medium =1024; at High =2048; and =4096 at Ultra. A higher value of 8192 is possible for shadow resolution, which will improve shadows slightly, but will also reduce FPS substantially =3072 a few suggest without any performance loss. iShadowMaskQuarter=4 - This variable in SkyrimPrefs.ini also has an impact on the clarity shadows. If raised to higher values such as 10, it improves the crispness of shadows. 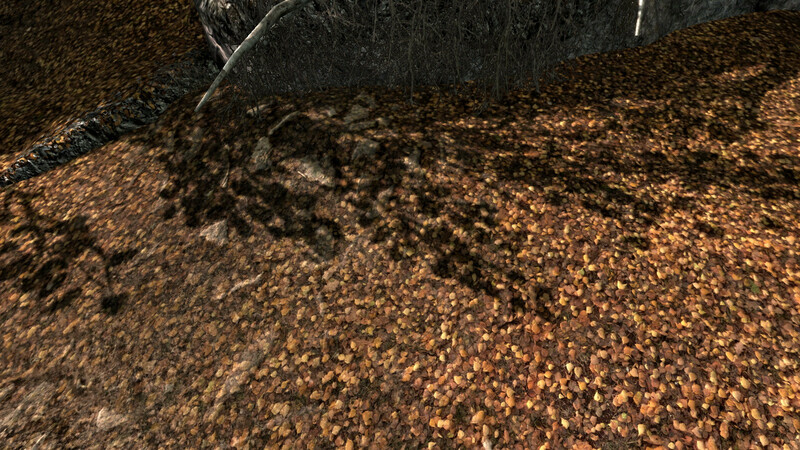 fShadowDistance=8000 - This variable in SkyrimPrefs.ini has a significant impact on shadow quality in outdoor areas. It controls the distance at which shadows are visible, however due to the way the engine works, it also determines the overall level of detail of shadows in the game world. Lowering the value of this variable will improve shadow resolution, but will also remove shadows from more distant objects, which improves performance significantly. If set to 0, outdoor shadows are completely disabled. =4000 works for me. fInteriorShadowDistance=3000.0000 - This variable in SkyrimPrefs.ini controls interior shadows. However lowering this value simply results in more areas of an interior being covered by shadow, rather than any noticeable improvement in shadow resolution. Increasing the value also seems to have little practical impact. In indoor locations, shadows are always sharper when closer to a light source than when further away from it regardless of this setting. Only raising the iShadowMapResolution variable can improve both exterior and interior shadows. =2000 works for me. iShadowSplitCount=2 = 1. How many times shadows are split. ie how many shadows one object can cast. OR 2. might be the number of cascades a shadow projects. ...splitcount=2 seems the way to go. I have tried 4 but saw no dif. ?Maybe Shadows cast from more than two light sources will produce shadows in different directions? bShadowMaskZPrepass = 0 Anything above 3 will produce Noise. Quote from Defosh369 "From testing, I can tell that this will help with achieving slightly better shadow quality at minimal performance hit, due to shadows (especially moving ones) being "updated" quicker. This effect can give you an illusion that all the moving shadows are more complex than normal. This is a small improvement, that helps with removing slowly updating shadows (most noticeable on characters, when a character move, shadows like to "stay" in place for a half of a second or so)." My Successful Tweak for the Ground Shadow Lines Close to/In front of player: =uTube vid of Shadow Line. STEP Z-Fighting fix= fNearDistance=20.0000-25.0000 (mine is=17.0000). Which has also fixed my Shadow Line problem. With fNearDistance=19.0000 set, the Shadow Ground Lines that run Horizontal in front of the player disappear. I am still trying to find the sweet spot with SkyReaLism ENB and the Shadow tweaks in the Skyrim.ini/prefs.ini. fNearDistance=19 clips at walls (corner of screen) but fNearDistance=20+ Clips ¼ of the screen at Walls. I had fNearDistance=18.0000 set but shadow lines were present, though I didn't have clipping next to walls/objects. I thought it may have to do with my FieldOfView=70 that fNeardistance=19 got rid of the lines. fShadowBiasScale=.2500-.6000 is the fix I found googling, but after trying different variables with no change, I changed fNearDistance=19.0000 and lines were gone. Edited by AyleidRuin, 29 December 2014 - 02:19 AM. Thanks for putting in the time to test this stuff out AR! !